Free Roof Inspections | Residential | Commercial - Right Way Roofing, Inc. Receive a *free roof inspection for your home or business in the Phoenix Valley. Our roof inspections help property owners prevent serious water damage. 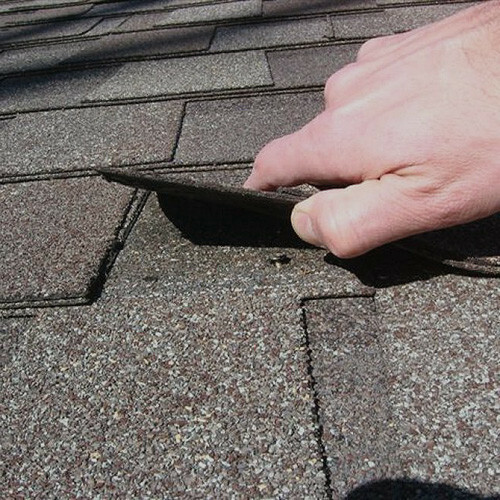 Allow our team to find potential leak areas like roof punctures, worn out flashings, missing tiles or shingles. Stop water from leaking through your roof before it happens and save thousands by preventing water damage in your home or business. With our roof inspection checklist we are able to provide a detailed roof inspection report for each job we do. Call for your roof inspection in Mesa, Phoenix, Gilbert, Chandler, Scottsdale, Glendale or anywhere else in the valley. Schedule your inspection today by calling either 480-232-5458 or 602-299-8851. Common phrases used to find our roof inspection services: roof inspection, roofing inspection, residential roof inspection, commercial roof inspection, free roof inspection near me, roof inspectors near me, free roof inspection, roof inspection near me, roofing inspectors near me or roof inspection service. Right Way’s professionalism was a refreshing experience.. They listened to and addressed my questions. The materials used were of superior quality. They began on time and worked daily until the job was complete. The team made sure we were updated throughout the process. Follow up was terrific. Greg H.
Right Way Roofing offers free residential and commercial roofing inspections to help detect potential leaks in your roofing system. Should you have a leak, our roofing contractors can help repair the leak and get your roof sealed up tight. Weather we need to replace shingles, tiles, re-foam or anything else, Right Way Roofing can help! We offer residential roofing inspections to help homeowners detect potential leaks in their roofing systems. A home roof inspection includes inspecting the exterior and interior areas of your roof. On the exterior area of the roof we look for: Loose, damaged or broken roofing shingles or tile, exposed or loose nails, missing or damaged flashing and more. On the interior area of your roof we look for: Outside light shining through, proper attic ventilation, leaks around chimneys and vents, cracks on roof sheathing and more. Our commercial roofing inspections help business owners detect potential leaks in their roofing systems. A commercial roof inspection includes inspecting the exterior and interior areas of your roof. On the exterior area we look for: Water standing on the roof’s surface, roof surface discoloration, inspect for loose or buckled flashing, cracks or gaps in caulking around penetrations and more. On the interior area of the roof we look for: Ceiling tiles that are water stained, interior wall discoloration, evidence of water leakage around frames and more. Right Way’s roof inspectors are accredited and professionally trained to thoroughly inspect for roofing leaks. All of our roofing contractors participate in on-going education that trains us to serve our customers better. Right Way Roofing offers free residential and commercial roofing inspections. *Disclaimer – Free Inspections do not include Real Estate Inspections for the purpose of buying or selling your home. Do I Need A Roof Inspection or Review? If you need roofing repairs, it’s a good idea to get them completed while your roof damage is minimal. Our team of professional will diagnose any leaks in your roof and find warning signs of potential future problems. Our roof experts from Right Way can determine what work is needed. If you happen to spot of the below warning signs, ask us for a roof inspection. It’s worth it to protect your home and pockets from future damage. When leaks are hidden and go undetected, your roof problems lowers your property value, repairs become more costly and your utilities costs increase. Making sure your roof is energy-efficient, secure and within code is the best investment you can make in your commercial property or home. Whether you need a roof inspection in Mesa, AZ for insurance requirements, construction compliance or worried about potential safety hazards – you can rely on Right Way Roofing to give honest quotes after inspection of interior and exterior roofing. We are experts in roof leak detection. Don’t let it rain another day in Mesa before you get your leaky roof fixed! If you think or are pretty sure you have a leak or a roof problem, give us a call today for a no obligation roof inspection and avoid paying thousands for repairs because of drywall damage, wood rot, structural integrity or mold issues. We will give you an evaluation that includes the general condition of your roof, where the problem areas are(if any) and an estimate to fix your roof issues. We conduct our residential and commercial roof inspections with a detailed checklist. This ensures that each and every element of your roof is inspected to avoid items being missed during the inspection. Our checklists are thorough and help us provide the detailed inspection reporting we know our clients need. Once our roof inspector has examined your roof they will provide a detailed roof inspection report. This report will cover all of the elements of your roof and highlight the areas that need to be repaired. This guide will help you understand the work that needs to be done, all costs, and get your roof repaired. Right Way Roofing, Inc. offers *free roof inspections to residents and business owners in Mesa and the Phoenix Valley. Our team is proud to help keep properties water tight and avoid costly damage from leaks. Let our skilled team come and inspect your roof if you’ve had leaks and/or to prevent leaks in the future. Schedule your inspection today by calling either 480-232-5458 or 602-299-8851. *Free Inspections do not include Real Estate Inspections for the purpose of buying or selling your home. We proudly provide *free roof inspections for home and business owners anywhere in the Phoenix Valley.